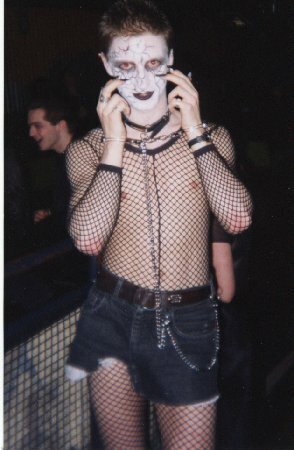 Right, This is me in Goth, at Snakebite and Black when it was at Rockshots... Well I never claimed it was a pretty sight. 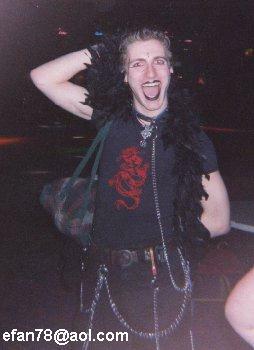 I found these photo's on an old Disk Feral gave to me years ago so I'd just like to say "Thanks!?!" to him for that!! http://www.snakebiteandblack.co.uk And don't worry - they all don't look as bad as me! Unfortunately, Snakebite and Black is nomore, it has gone to the great Nightclub in the sky, so all that I can say is "Goodbye, and thanks for all the good times."